Place your bets across the board on the unique blend of European Vinifera, American and Hybrid grapes. Names after an outcropping on the Kentucky River, Lovers Leap Vineyards & Winery is one the largest wineries in the state, sustainably producing quality grapes and wine. 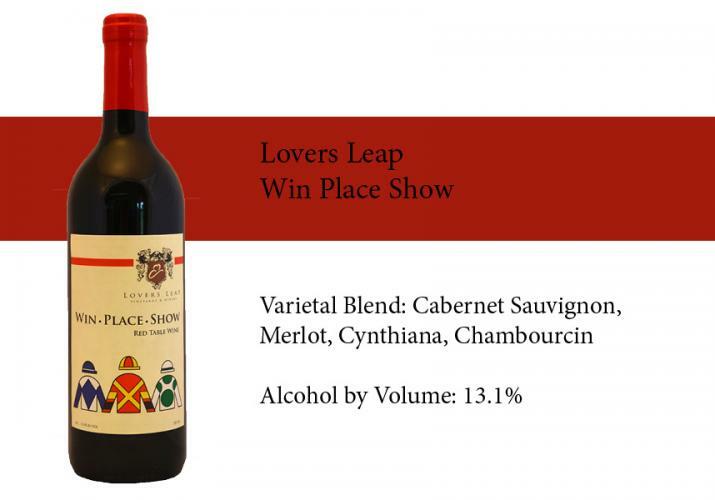 Lover’s Leap Winery’s winemaking approach begins with expressing the rich fruit qualities of each varietal and showcasing the distinctive character of their Central Kentucky vineyard. Taste Profile: Out of the gate, dark berry, pepper and spice are fighting for position with chocolate quickly gaining ground. Smooth tannins appear in the stretch for a dead heat of flavor at the finish.